The sky is the limit when it comes to a culinary arts career in New York. New York is an exciting environment for culinary professionals offering exclusive restaurants as well as unique and diverse dining experiences. With over 20,000 eating establishments in New York City alone, culinary professionals have no shortage of employment opportunities. 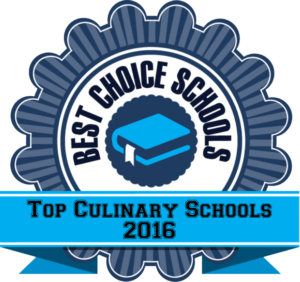 We created a list of the best culinary schools in the state of New York. All of these culinary schools and programs offer hands on learning, on campus student-run dining establishments, and expert faculty. While not all of them offer degree programs, those that offer only diploma programs are leaders in the industry and have a solid reputation. Several programs and schools are accredited by the American Culinary Federation, a leader in accreditation, certification and culinary competitions. Erie Community College offers an AOS degree in culinary arts that can be completed on a full or part-time basis by doing coursework during the day or evening. Students in the program gain experience working in the E.M. Statler Dining Room or the City Campus Atrium Café, both located on-campus. The program is accredited by the American Culinary Federation. Graduates are prepared to work in a variety of settings including resorts, hotels, and restaurants and are able to successfully transfer into more advanced culinary programs to further their careers. The Niagara Falls Culinary Institute has the latest in kitchen design including seven state-of-the-art kitchens featuring European island cooking suites. Savor, a student operated restaurant, features an ice sculpting lab, open hearth over, and fine dining atmosphere. The Cannon Culinary Theatre is unique to NFCI and welcomes visiting celebrity chefs for presentations. NFCI also features a bakery, TV studio, and Barnes and Noble bookstore to provide opportunities for students to gain as much real world experience as possible. Students receive plenty of hands-on instruction and have the opportunity to extensively practice their skills during the program. The accredited top culinary program at Paul Smith’s College focuses on technical skills, aesthetics, and management. The AAS degree program is a 63 credit hour program that requires students to complete 400 hours of culinary work experience to meet graduation requirements. Graduates learn skills needed to become as a pastry chef, caterer, manager, or executive sous chef. This program can be completed as a stand alone degree or as a stepping stone to a bachelor’s degree in culinary arts or service management. SUNY Cobleskill is one of the best accredited culinary schools in the state, offering field trips and farm-to-table culinary experiences. The SUNY campus has a working farm with a USDA meat processing lab and hydroponic vegetable lab. Class size is small, allowing students to receive more individualized attention. Field trips are available to domestic and international culinary destinations including France, Spain, and Italy. The associate degree program can be completed in two years of study and transitions nicely into the Bachelor of Business Administration program for those wanting a career in management. SUNY Delhi College of Technology offers a top culinary program with a competitive edge. Students have won over 500 individual and team awards for their culinary skills. Kitchen facilities are state-of-the-art and students have the opportunity to work at Signatures, a student-run restaurant on campus. SUNY Delhi offers unique elective courses such as culinary sculpting, advanced meat cutting, and culinary competition. SUNY Delhi offers the only culinary bachelor’s degree program in the state. Students in the bachelor’s degree program learn financial management and organization to be successful leaders in culinary and dining facilities. While the Institute of Culinary Education in New York does not offer traditional degree programs, we have included it in our list of the top culinary schools because of it’s reputation and award-winning diploma programs. Students who attend ICE receive personalized training and instruction in their career area. Externship opportunities help students gain valuable experience and build connections essential to getting ahead in the field. Programs can be completed in just six to 13 months. Students have the unique opportunity to pursue a double diploma in Restaurant & Culinary Management and Culinary Arts or Pastry & Baking Arts. 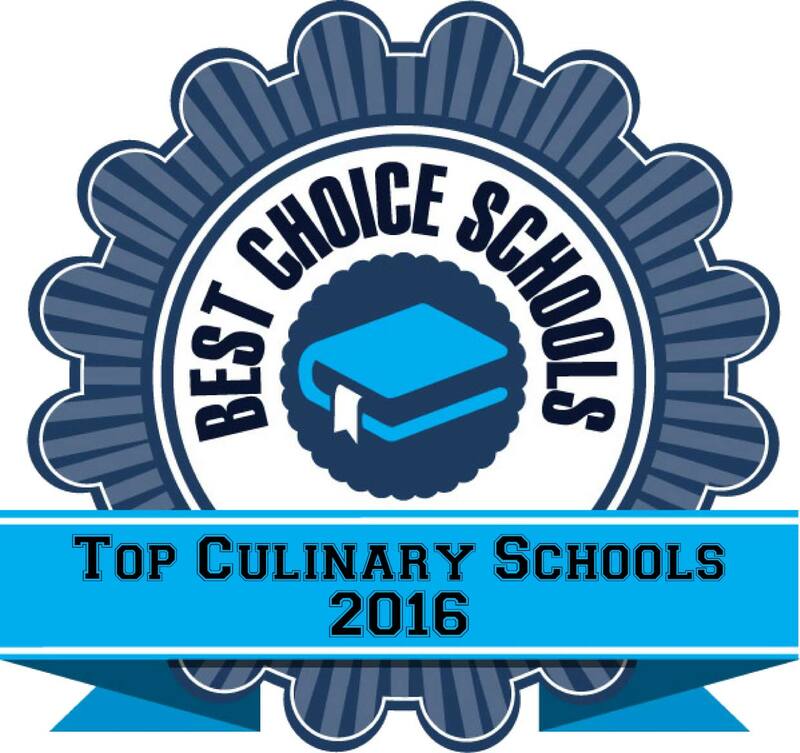 This top culinary arts school is recommended by 93% of alumni! The prestigious Culinary Institute of America in Hyde Park, New York offers a multitude of culinary degree programs to meet the needs of culinary professionals. Students can earn their Associate degree in about two years and complete a 15 week externship at the end of the program. Bachelor’s degree programs can be completed in an additional 17 months of study. CIA operates several student run restaurants including the American Bounty Restaurant, The Bocuse Restaurant, and the Ristorante Caterina de’Medici. Students have the opportunity to work at two of these top restaurants to gain both front of the house and kitchen experience. Throughout the program, students will complete over 1,300 hours of hands on learning in state-of-the-art kitchens and bake shops. Schenectady County Community College offers an exciting culinary degree program with some of the coolest internship opportunities in the industry. Students have the opportunity to work at the Levy Restaurants at the Kentucky Derby, Walt Disney World, or Market 32 by Price Chopper. This top culinary school gives students the opportunity to work in student-run, on-campus dining establishments to build their skills and gain professional experience. The Casola Dining Room is an on campus restaurant in which students receive training in baking, garde-manger, dining room, and culinary service. Pane e Dolci is an on campus bakery open to the public where baking students can practice preparing breads, cakes, tarts, and cookies. Graduates are well prepared for entry-level positions in the culinary industry. The International Culinary Center in New York is an award winning, top culinary school with alumni including Bobby Flay and Jacques Torres. ICC is well known for it’s total immersion curriculum where students are heavily engaged through hands on learning. Graduates of the culinary arts program receive a Grand Diplome, a recognized industry credential. These programs are fast track and can be completed in just six to 14 months. The Farm to Table program is an extension of the culinary arts program. Students learn the importance of the connection between farms and the kitchen in the field with the Blue Hill kitchen team. Students learn over 250 culinary techniques during their time at ICC. ICC assists students in finding paid externship opportunities in a variety of areas including fine restaurants, retail, catering firms, and hotels. ICC has one of the highest graduation rates in the industry at 91.5%. The Culinary Institute of New York at Monroe College is a highly competitive top culinary school that attracts students from all over the world. Faculty such as Ebow Dadzie and Frank Constantino are among the best chefs in the country. Students have the opportunity to participate in service organizations such as the Baking and Pastry Club and the Culinary Arts Service Club. On campus restaurants including The Dining Lab and the Pastry Kiosk give students the opportunity to demonstrate their skills in a professional environment. Facilities are state-of-the-art and students receive plenty of kitchen time to fine tune their culinary skills and abilities.